Whether you are a business or leisure traveller the Ballina Motel offers a range of facilities designed with you in mind. Our friendly Motel team are here to assist you. If there is something you need please don't hesitate in asking. Bedspreads collect dirt, absording everything from odours, body fluids, food and beverage spills, dust and grime. And Lord knows what may have been going on on top of that bedspread .... shudder! Hotels and motels do not launder bedspreads after each guest checks out. They don't get washed very often! Doesn't exactly give you the warm fuzzies to think about how long it may have been since that motel or hotel bedspread may have been washed, does it? That's why we don't have bedspreads! Triple sheeting uses three flat sheets to achieve a luxurious sleep experience with freshly laundered sheets covering all bedding. The first flat sheet goes down over the mattress protector, above this lies the second sheet. A continental blanket is then placed on top of the second sheet and a final third sheet is placed on top of this. This method of making the bed (used in leading hotels around the world) is a little more work for us and increases our laundry costs but more importantly ensures a hygienic and luxurious nights sleep for you. We think that making it easy for you to stay connected with family & friends is essential when you are travelling and making it FREE and unlimited is another great reason to stay. 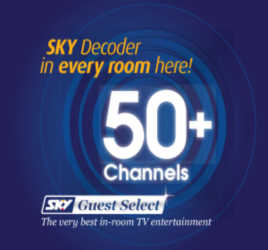 We even have an aerial in every room connected to fibre to ensure you have the very best connectivity. 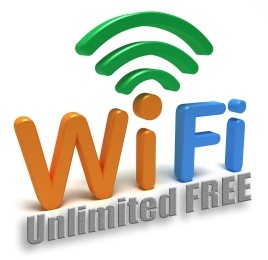 We can also provide internet access for those who don't have a laptop, ipad or tablet with them. At the Ballina Motel it's all about making your stay relaxed and stress free and taking care of your 'little ones' is first and foremost. 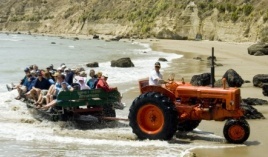 Guests travelling with babies can be provided with a complimentary portacot. Baby baths and highchairs are also available and we can organise hireage of car seats if required. Please let us know your requirements when making your reservation. The Ballina Motel provides complimentary off street parking for our guests, with 24 hour surveillance. Enjoy an office away from the office with a desk and free wired and wireless internet access in every room to keep you in touch with work or loved ones. Printing, photocopy and fax facilities are available at reception. Full conference facilities are also available onsite or close by. Our quiet residential location ensures that you arise refreshed to take on the new days business challenges, and our central location ensures that you are close to your next appointment. Our air-conditioned small conference room is a great venue for meetings, interviews, seminars, training sessions, and trade/product displays. Have you got a small group of people you need to train, then our small flexible conference room is your ideal venue. 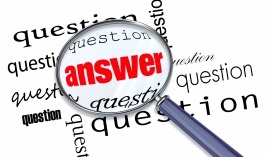 Is your customer distracted by their own business issues when you call on them? Our small conference room is the ideal venue to display your products, create a relaxed atmosphere for your customer, so that they have your full attention, and increase your sales. Display equipment including tables, clothes racks, and display lighting available. 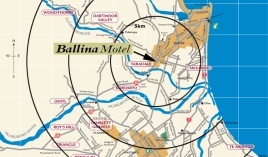 The Ballina Motel is conveniently located in Napier in the centre of Hawkes Bay..